A Simple Way To Get An Egg-Shaped Heart. See How They Do It! Decorations can turn a boring meal into something special. Ordinary carrots can be converted into a flower, and a melon into a face. Anyway, probably you often saw this type of projects, at least in the pictures :). And an egg? How to change the form of eggs? There is a way to do that. Pay attention to the details. Hard-boiled eggs are cool, but they are better when we give them a heart shape. You do not need any special forms to complete this project. You need an egg, milk, juice from the carton, baton and eraser. See how to do it! 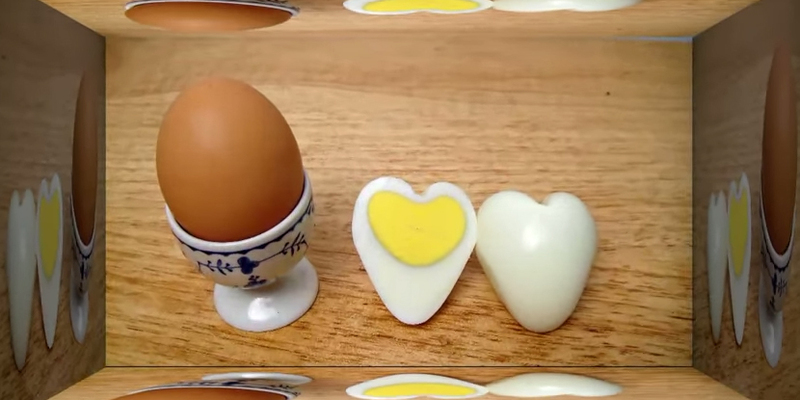 Watch the video and make your own eggs in a heart-shape. If you like this idea, share this post with your friends.If you like this idea, share this post with your friends. The reason why this horse is carrying hay around in its mouth is beautiful.. See who he’s working so hard for! You Will Never Guess What These Installations Were Made Of! Watch Carefully!